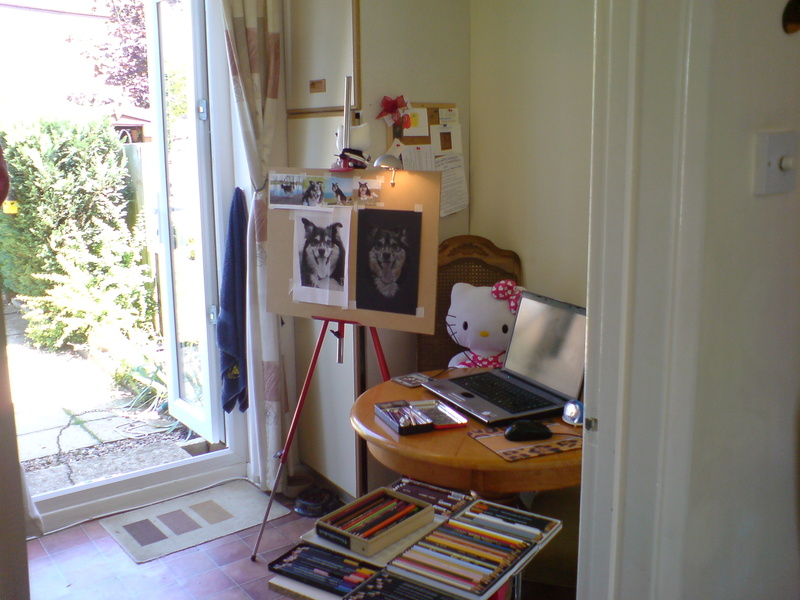 I can’t take my easel into the sun today as the main photograph I’m using for reference is on the laptop but it’s nice to open both garden doors and let the good weather in. I have lots of bird feeders and I can hear the birds…in next door’s garden! Come into my garden, you unfaithful birds!